Home/News/Blog/What are the people in South African townships really eating? Towards the end of last year, The Noakes Foundation facilitated research that was done by two undergraduate students from the Netherlands who wanted to study the perceptions around the dietary habits, as well as the dietary intake of people living in South African township communities who have type 2 diabetes (T2D). What are the perceptions regarding dietary habits of the sample of adult residents in Delft with type 2 diabetes? What is the dietary intake of the sample in relation to carbohydrates and what are the most common carbohydrate rich products? How can the carbohydrate rich daily menu be replaced by a Low Carb High Fat daily menu and adapted to the dietary habits of the residents of Delft? 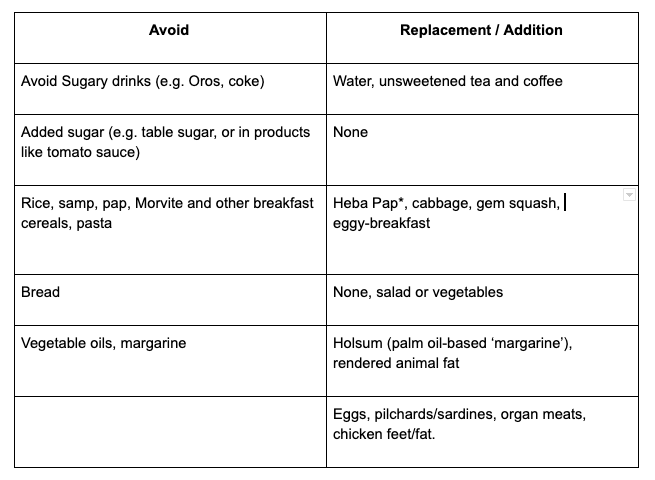 Attitude towards nutrition and health: having enough to eat was seen as central rather than the food item or choice: “[we] just eat, as long as [we] get full”. Sweetness was the exception: participants acknowledged that sweet food is bad for their diabetes. This indicates that education around other foods that play a role in health and diabetes is required. Participants weren’t fussy, saying, “we like everything”, which is encouraging, as it may aid acceptance of interventions that require changes to diet choices. Favourite, or accessible, foods included rice and pap (mielie meal). 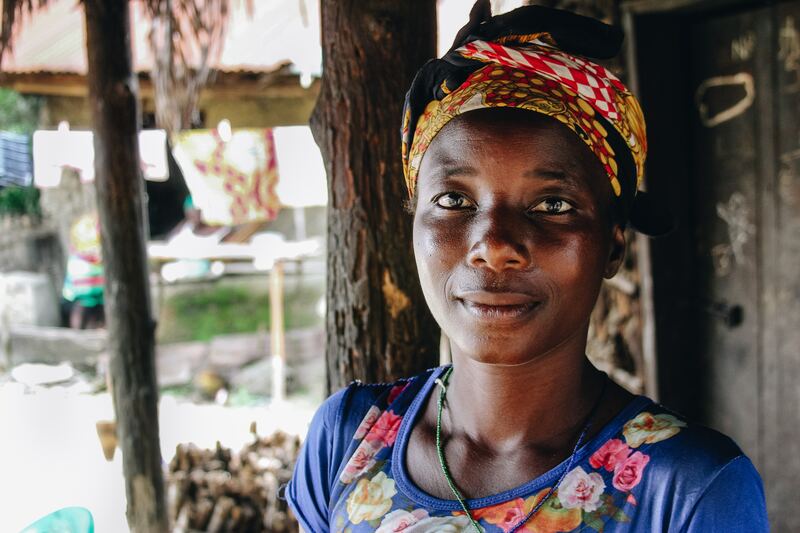 Social environment: women in these communities are typically the ones who prepare food for their families, which they eat together. One research participant noted that she does not eat the food prescribed by the clinic as catering for the needs of her family takes precedence over her own needs. Also, eating as a family or in company was linked to less discretion: “I eat more careful when I am alone, I will eat everything in company with others”. Another social situation that was found to mostly interfere with health eating in this group was “special occasions”, such as birthdays and Christmas: times to enjoy, indulge and eat a lot of sugary and other unhealthy foods. However, Sundays are special family days of increased dietary diversity. 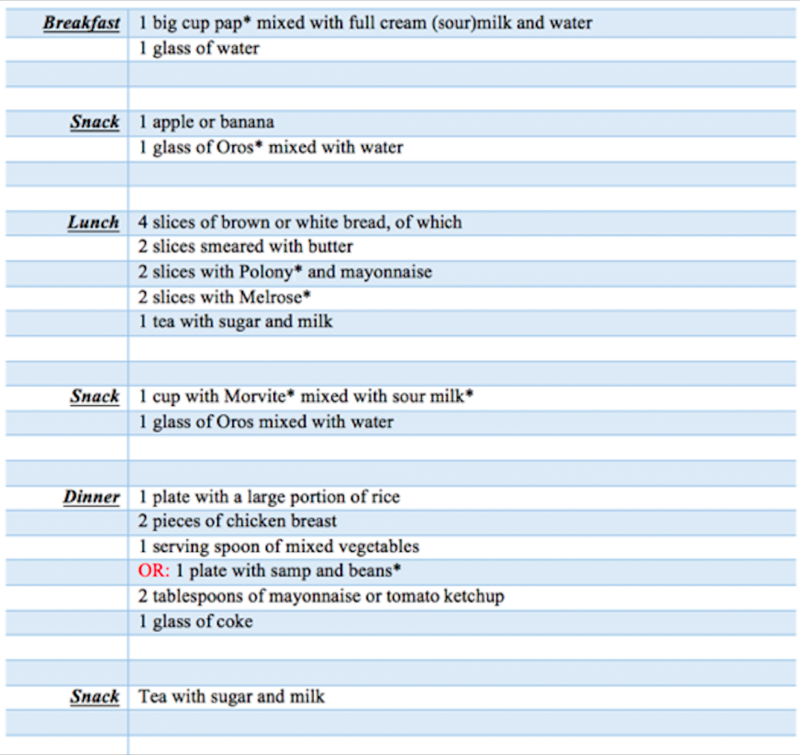 In response to the second question of this study, below is a typical meal diary of the research participants eating habits. 2 pieces of chicken breast refers to 2 pieces of a chicken breast and not 2 whole chicken breasts. 1 serving spoon of mixed vegetables is 1 teaspoon of mixed vegetables. An extremely high intake of carbohydrates at approximately 226 to 312. While Heba pap is seen as well priced, for people living in townships, it can still be out of their budget. Part of Eat better South Africa’s mission is to make Heba pap an integrated food staple within these communities in an attempt to combat poor eating patterns. We do this through various outreach community programmes, specifically in the under-served communities, to educate people on healthy and wholesome eating and create awareness around the importance of proper nutrition. Eat Better South Africa is committed to working on and collaborating with brands who strive to offer quality and healthy products. Eat Better South Africa is in the process of conducting further research into the health benefits of implementing affordable LCHF diet solutions into under-resourced communities, in collaboration with UCT. Please note, the research findings are based on a small segment of the population and should not be regarded as factual information. Furthermore, the information in this study was done by ammeter researchers who endeavoured to complete their thesis paper, The Noakes Foundation does not credit the research represented here.